Age. 293 (Appears 24 as the 'default' form). Wand. None. The one he holds to avoid attention appears as Sycamore, Pegasus Feather/Manticore Hair blend, 12 1/2 inches, Quite Flexible. Family. Mahra Keelan, Lawrence Keelan. Qingying is slender, with long white hair that flows down his back and features so feminine many are unsure he is truly male. His right eye is azure, while his left is deep gold and pupil-less. A marking of not-quite circles and curved lines is on his forehead. He is frequently dressed in hanfu, which, while not wizarding robes, are similar enough for most not to notice. His attire almost never changes (when it does, it is spontaneous and greatly varied), with a white inner layer formed of two sides wrapped over each other and tied with a cloth belt, and a light grey outer layer, open at the front. Both flowing pieces are made of an abundance of material, and have long sleeves. His voice is mellow, and students do not recall him ever having to raise it. Mid 1743 - Graduates from Hogwarts. 1748 - Charms professor at Hogwarts. Mid 1749 onwards - Various roles throughout the world, including Professor, Tutor (academics, arts, etc), Librarian, Healer, Cook/Baker, Translator, Author, Student, Disciple, Performer, and so on. Late 2005 onwards - Hitward training & Hitwizard in Department of Magical Law Enforcement, Ministry of Magic. November 2017 - Charms Professor at Hogwarts School of Witchcraft and Wizardry. Qingying is a spirit of Lawrence Keelan's wand. He is a registered animagus, and transforms into an entirely white Red-crowned crane with a black crown. When not teaching, Qingying develops and refines useful spells to be released to the public, and works both with others and alone to translate texts. He translates from one language to another, and also old, rare texts to modern languages to prevent knowledge from being lost. Sometimes, he publishes books. He frequently works with acquaintances on whatever projects - be it fixing a dam or a new invention - they are pursuing. When Kardat Blacksworth is away, he fills in as the Transfiguration professor. It is known that Qingying is a spirit, but not that he is a wand spirit. His humanoid form can be indistinguishable from a living person. His appearance is a projection that can be altered at will (this means that his students may be taught for short periods of time by a talking potted plant). Most regard him as a ghost. Your occupation is CHARMS PROFESSOR. 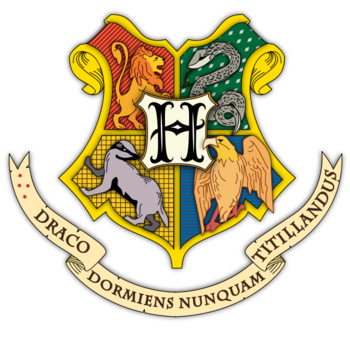 On behalf of HOGWARTS SCHOOL OF WITCHCRAFT AND WIZARDRY, we acknowledge this day, AUGUST 24TH 2018, to represent the momentous occasion of your 293RD birthday.